Home » Kansas City Chiefs uses CatDV for its fan based communications and marketing producing a range of content for TV and web broadcast. Kansas City Chiefs uses CatDV for its fan based communications and marketing producing a range of content for TV and web broadcast. 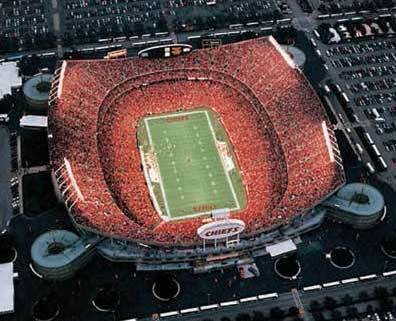 The Kansas City Chiefs have been playing football in the NFL for over 50 years. They have a thriving fan base and a merchandising organization that is a key part of the team’s overall presence. For many of the fans, the Kansas City Chiefs are their life, so staying up to date with player news and games is important. On a commercial level, an active fan base represents a vital part of the club too. Jodain Massad, Senior Producer, is in charge of generating video output. Here he explains the role of the in house production company and some of the challenges they face. Fan based communications and marketing have developed rapidly, with the club now having a huge internet, mobile and Facebook presence. Facebook users alone have gone from 60,000 two years ago to close to 700,000 today. One of the fastest growing areas is video for mobile devices, which increases 125% each year in volume and traffic. Entertaining the fans and earning their loyalty drives everything that Jodain and his team do, so the quality of their output is critical, with high production values a necessity, irrespective of format. Both long and short form material is produced: ranging from daily features to 30 minute TV and web shows, as well as the innovative Chiefs Kingdom and Red and Gold productions. This material has broken new ground by bringing relevant content to the fans and the female followers of the club respectively. Short 3 to 6 minute fun and entertaining clips are still produced for the web, in addition to a one hour live call-in show that is produced each week. Extensive use is made of graphics and special effects, with an emphasis on a gritty and focused look. With the rapid growth in mobile and Facebook users alone, storage requirements are large and growing, with over 40TB of storage in use. Five full-time producers are supported by a team, including a production manager, in-house photographer and writers, to name a few. Access to the MediaGrid can be via laptops and desktops, with both linking seamlessly to the grid to allow for physical and creative movement between platforms. Final Cut Pro, After Effects and CatDV are all linked around a process that emphasizes logging at the front end of the workflow, so material is shot, logged, archived and then edited. 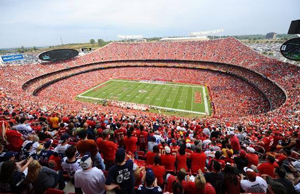 File management requirements are growing daily at a fast rate, with storage needs increasing by an estimated 10TB per annum, as the Kansas City Chiefs move into new areas such as live and pre-season broadcasts. Overall, the emphasis is on content growth to meet a never-ending hunger from fans. Key to the success of the production company is the notion that all producers and creatives are working in tune with each other. Producers are encouraged to take a hands-on approach to the development of material, rejecting the option of automation, and focusing instead on manual input to sort the good material from the bad. Storage is a major challenge, but effective archiving is equally important, as material can and will be used several times across different shows and in different formats. The decision to purchase CatDV was a central part of their strategy, where the aim was to be able to maximize value, improve workflow and productivity, and generally create a more synergized philosophy and approach. Jodain has had to manage the move from a tape to a digital environment with confidence in the storage, access and archiving being essential. Going digital has meant a greener approach, but it has also opened up improvements in creativity and productivity, allowing multiple producers to work together via the MediaGrid. CatDV made sense because of the way it was built and the flexibility it offered, particularly as a hardware agnostic platform, supporting desktops and laptops, Macs and PCs. It has improved logging efficiency and through this, allowed the producers to tell better stories, as assets can be easily located and accessed.